It was the party of the century—the 19th century, that is. 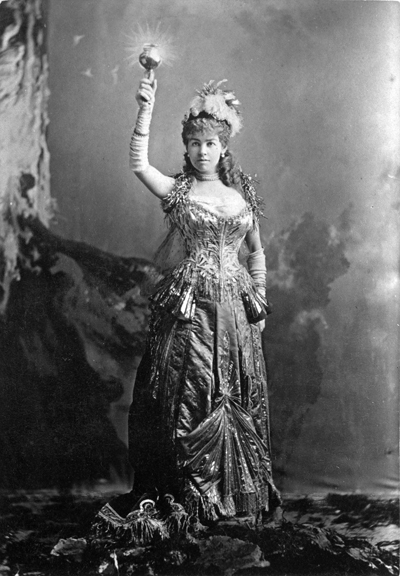 Alva Vanderbilt, the super competitive wife of William K. Vanderbilt, was throwing a masquerade ball at her new Fifth Avenue chateau. On the guest list were the highest members of New York society. Her stunning gown was made of white satin and trimmed with diamonds. It came with hidden batteries, so Alice could light up like a bulb. Electricity was all the rage at the time—some streets were now illuminated with electric light, and Thomas Edison’s generating station on Pearl Street had opened the year before. The ball wasn’t just another social event for rich New Yorkers. It was designed to gain Alva Vanderbilt acceptance into the city’s old-money society world, then ruled by Caroline Astor. 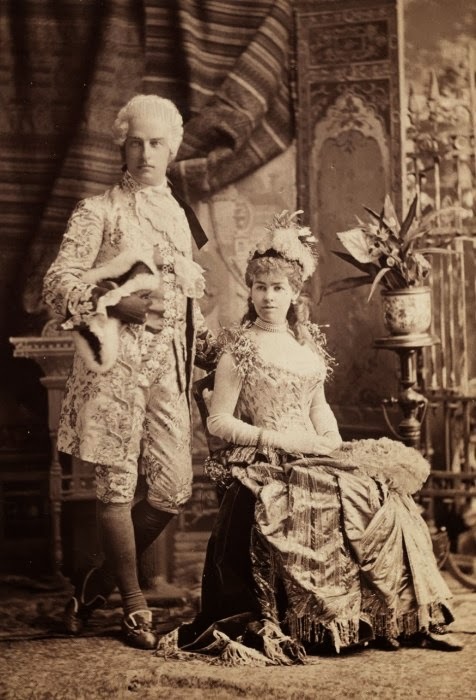 By first denying Caroline Astor’s daughter an invitation to the ball, Vanderbilt forced Astor to pay her a social call and thus deem her worthy of the city’s social scene. Alva’s plan worked, she officially joined New York society, and her ball became a legend. 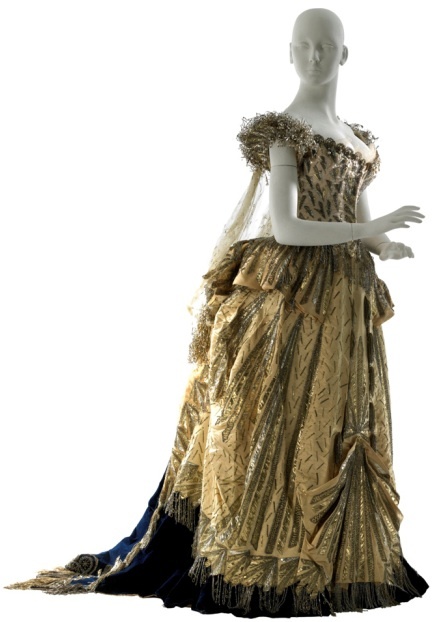 The electric ball gown, meanwhile, joined the collection at the Museum of the City of New York, where it is on display now at Gilded New York. This entry was posted on December 9, 2013 at 3:24 am and is filed under Fashion and shopping, Midtown, Music, art, theater. You can follow any responses to this entry through the RSS 2.0 feed. You can leave a response, or trackback from your own site. I just happened to see a bit of a Historical Society documentary the other night that featured this dress. Then, today, I stumbled upon it in person at the Museum of the City of NY. Even today, it’s absolutely stunning. I can only imagine the impact it had at the time – and here we are still admiring it a century later. Thanks Goggla. I saw it today at the MCNY. Definitely stunning…and so tiny! These society women were itty-bitty.